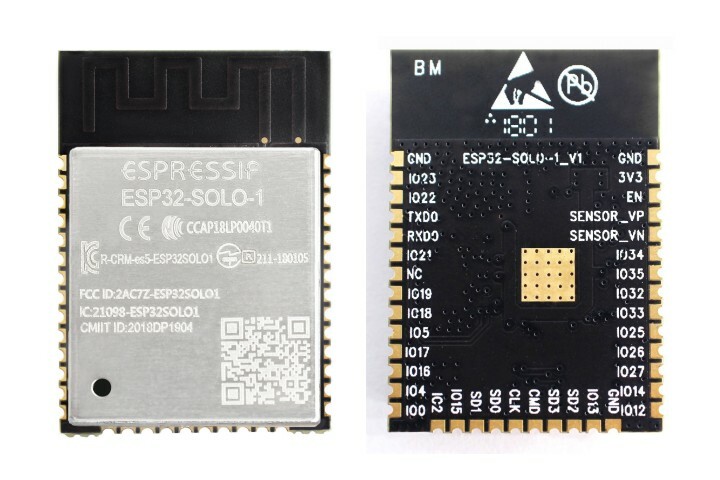 Espressif designed and manufactured several development modules and boards to help users evaluate functionality of the ESP32 family of chips. Development boards, depending on intended functionality, have exposed GPIO pins headers, provide USB programming interface, JTAG interface as well as peripherals like touch pads, LCD screen, SD card slot, camera module header, etc. For details please refer to documentation below, provided together with description of particular boards. This section describes the latest versions of boards. Previous versions of boards, including these not produced anymore, are described in section Previous Versions of ESP32 Modules and Boards. A family of small modules that contain ESP32 chip on board together with some key components including a crystal oscillator and an antenna matching circuit. This makes it easier to provide an ESP32 based solution ready to integrate into final products. Such modules can be also used for evaluation after adding a few extra components like a programming interface, bootstrapping resistors and break out headers. The key characteristics of these modules are summarized in the following table. Some additional details are covered in the following chapters. A basic and commonly adopted ESP32 module with ESP32-D0WDQ6 chip on board. The first one of the WROOM / WROVER family released to the market. By default the module has 4MB flash and may be also ordered with custom flash size of 8 or 16MB, see Espressif Products Ordering Information. 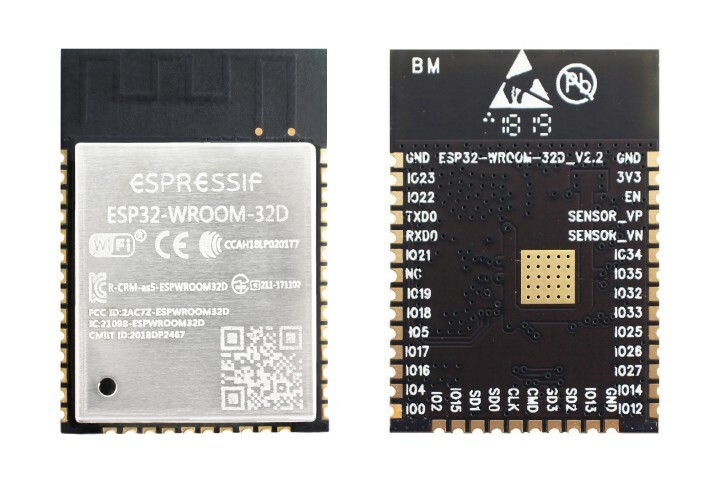 Both modules have ESP32-D0WD chip on board of a smaller footprint than ESP32-D0WDQ6 installed in ESP32-WROOM-32. By default the module has 4MB flash and may be also ordered with custom flash size of 8 or 16MB, see Espressif Products Ordering Information. Version “D” has a MIFA antenna. Version “U” has just an U.FL / IPEX antenna connector. That makes it 6.3 mm shorter comparing to “D”, and also the smallest representative of the whole WROOM / WROVER family of modules. Simplified version of ESP32-WROOM-32D module. 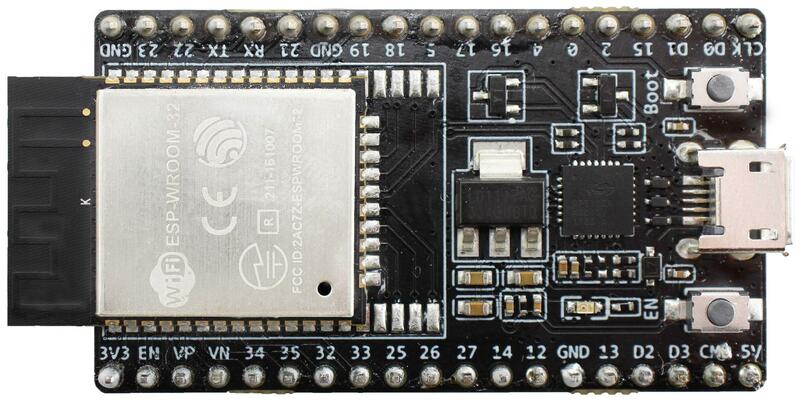 It contains a single core ESP32 chip that supports clock frequency of up to 160 MHz. A step upgrade of ESP32-WROOM-32x modules with an additional 8MB SPI PSRAM (Pseudo static RAM). 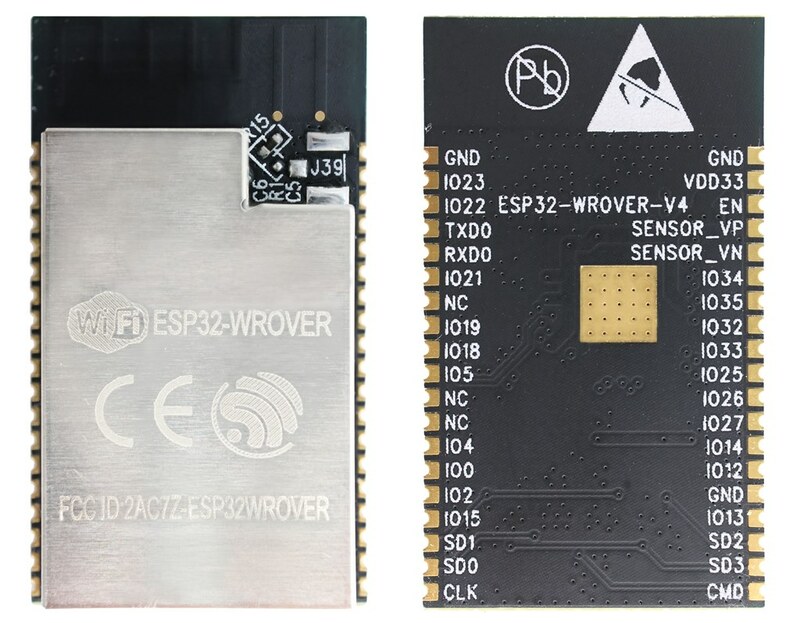 ESP32-WROVER and ESP32-WROVER-I have PSRAM that operates at 1.8V and can support up to 144 MHz clock rate. 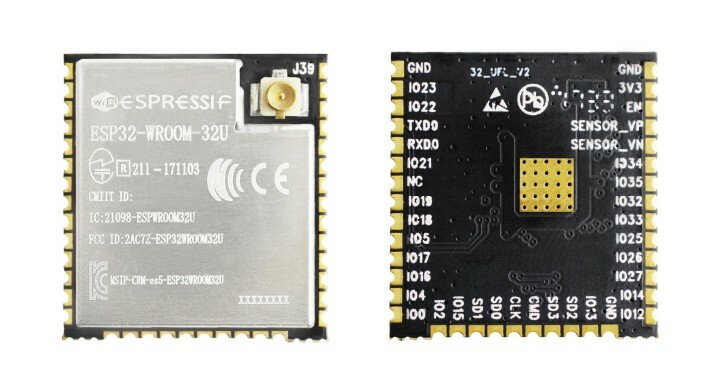 ESP32-WROVER-B and ESP32-WROVER-IB have PSRAM that operates at 3.3V and can support up to 133 MHz clock rate. By default the module has 4MB flash and may be also ordered with custom flash size of 8 or 16MB, see Espressif Products Ordering Information. Depending on version the module has PCB antenna (shown below) or an U.FL / IPEX antenna connector. Because of additional components inside, this module is 5.9 mm longer than ESP32-WROOM-32. The smallest ESP32 development board with all the components required to connect it directly to a PC USB port, and pin headers to plug into a mini breadboard. It is equipped with ESP32-PICO-D4 module that integrates 4 MB flash memory, a crystal oscillator, filter capacitors and RF matching circuit in one single package. As result, the fully functional development board requires only a few external components that can easy fit on a 20 x 52 mm PCB including antenna, LDO, USB-UART bridge and two buttons to reset it and put into download mode. Comparing to ESP32-PICO-KIT V4, this version contains a more capable CP2102N USB-UART bridge that provides up to 3 Mbps transfers rates. Small and convenient development board with ESP32-WROOM-32 module installed, break out pin headers and minimum additional components. Includes USB to serial programming interface, that also provides power supply for the board. Has pushbuttons to reset the board and put it in upload mode. 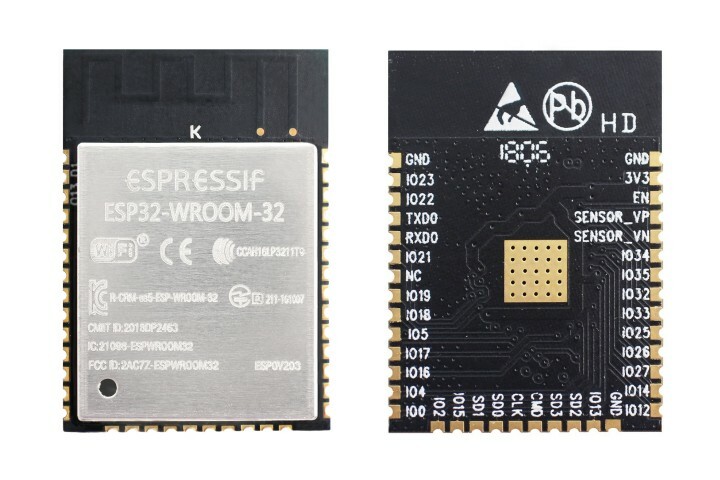 Comparing to the previous ESP32 Core Board V2 / ESP32 DevKitC, instead of ESP32-WROOM-32 it can accommodate ESP32-WROVER module and has CP2102N chip that supports faster baud rates. The ESP-WROVER-KIT V4.1 development board has dual port USB to serial converter for programming and JTAG interface for debugging. Power supply is provided by USB interface or from standard 5 mm power supply jack. Power supply selection is done with a jumper and may be put on/off with a separate switch. This board has MicroSD card slot, 3.2” SPI LCD screen and dedicated header to connect a camera. It provides RGB diode for diagnostics. Includes 32.768 kHz XTAL for internal RTC to operate it in low power modes. 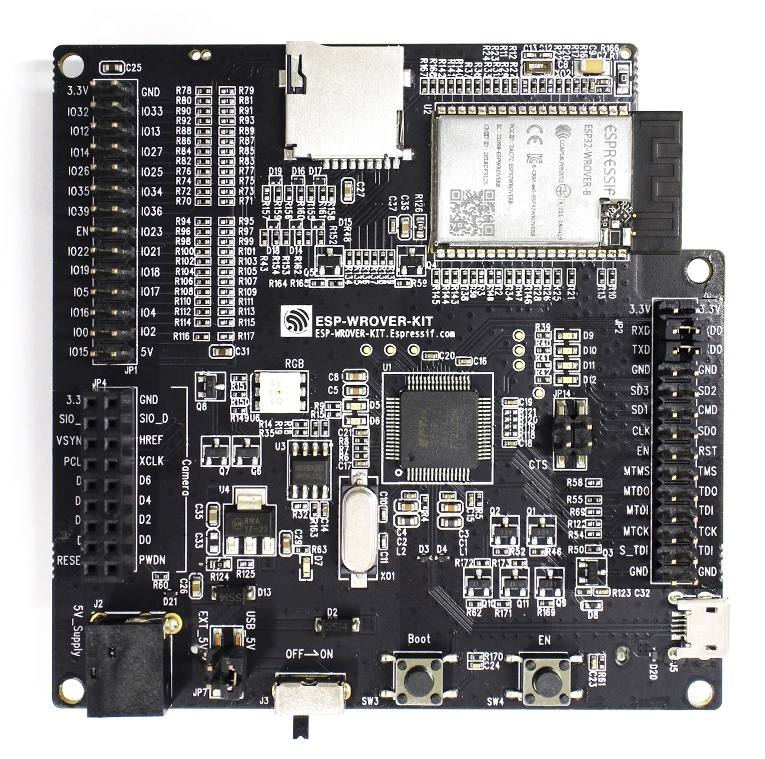 This version of ESP-WROVER-KIT board has ESP-WROVER-B module installed that integrates 64-MBit PSRAM for flexible extended storage and data processing capabilities. The board can accommodate other versions of ESP modules described under WROOM, SOLO and WROVER Modules. The board on picture above has ESP32-WROVER-B module is installed.